Do you have what it takes to beat the fish? Online poker has been popular worldwide since the early 2000’s. Poker sites have come and gone over the years but the game remains an international phenomenon. Virtually every online poker site has a mix of pros, amateurs, and casual players. Winning at poker requires some luck but mostly skill over the long run. While a lucky hand or two could help a novice defeat a shark, over a series of matches, the shark is going to have all the money. The game of poker is the same online as it is in a live casino, except you can’t physically see your opponents. Mastering the game requires many of the same skills online as offline (i.e. understanding pot odds, picking up on your opponent’s betting patterns, being disciplined and patient, etc.). 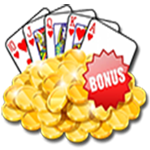 One of the coolest features of online poker is the different bonuses offered at online poker sites. In a live casino poker room, players earn comps for drinks, food, and hotel rooms based on their frequency and level of play. Online, poker players receive bonuses in the form of free money or free entries into poker tournaments. The most common type of bonus, and this is offered at nearly every online poker site, is a match bonus. With a match bonus, players end up receiving additional cash that matches their initial deposit or, in some cases, a reload deposit. This money is rarely given to the players instantly. The money is earned over time based on how much they play, and is usually awarded in increments. Some online poker sites limit the deposit amount to $1,000 or less. Texas holdem is the Cadillac of poker. Texas holdem is played using fixed limit, no limit, and pot limit formats. Understanding Texas holdem is quite simple. Mastering the game is rather difficult and will take some practice. The object of the game, like any other poker game, is to extract as many chips (or dollars) from your opponents. Each player receives 2 cards face down (hole cards) to begin each hand. Players then place initial wagers based on the strength of their hands, or the strength of the hand they are attempting to represent. After this round of betting commences, 3 cards face up (the flop) are placed on the table followed by another round of betting. Then another face up card (the turn) and a round of betting is completed. Then one more face up card (the river) and a final round of betting is played. The object is to make the best possible 5-card poker hand using the face up cards on the table and the hole cards, or bluffing a better hand out of the pot. Omaha Holdem is similar to Texas holdem except players receive 4 hole cards instead of 2. Another difference is players can use as many community cards as they want in a game of Texas holdem, but are forced to play exactly 2 hole cards and 3 community cards to make a hand in Omaha holdem. So if you’re dealt AAKK in the hole and the board is 5-2-3-7-9, your best hand isn’t 2-pair (aces and kings). Your best hand is a pair of aces with 7-5-9. The rest of the game is the same. 5 community cards are dealt face up with four rounds of betting during each hand. 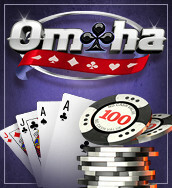 Most Omaha games are played in the pot limit or fixed limit variety, but occasionally you may find a no limit Omaha game. You can also find a secondary version of Omaha called Omaha Hi Lo. In this game, players attempt to make the best and worst possible poker hand at the same time, or at least one of the two. When there’re 3 non-matching community cards that are valued at 8 or lower, players may also try to win half the pot via a low hand so long as they have 2 non-matching cards valued at 8 or lower in the hole. 7 Card Stud is a variance of poker that completely differs from holdem games in most ways, but the goal is the same: to make the best possible poker hand while extracting the most amount of chips from the opponents. Stud begins with everyone being dealt 2 hole cards and 1 card face up on top of those hole cards. Players then bet based on the current or potential strength of their hands. After the initial round of betting, each player is dealt 3 more cards face up with a round of betting after each. The 7th and final card is dealt face down and the final round of betting takes place. Fixed limit is the most common form of stud poker. Stud/8 is also popular and compares to Omaha Hi Lo in that players attempt to make both a high and a low hand, with half the pot going to the winner of the high hand and half the pot (if applicable) going to the winner of the low hand. Players can also occasionally find a few other variations of stud such as Razz and 5-card stud.